I am the creative strategist at BLKBX Creative Group and serve as a producer on the Angry Birds 2 social campaign for Sony. We're having a fetching good time on #NationalPetDay! Who's your best furry friend? 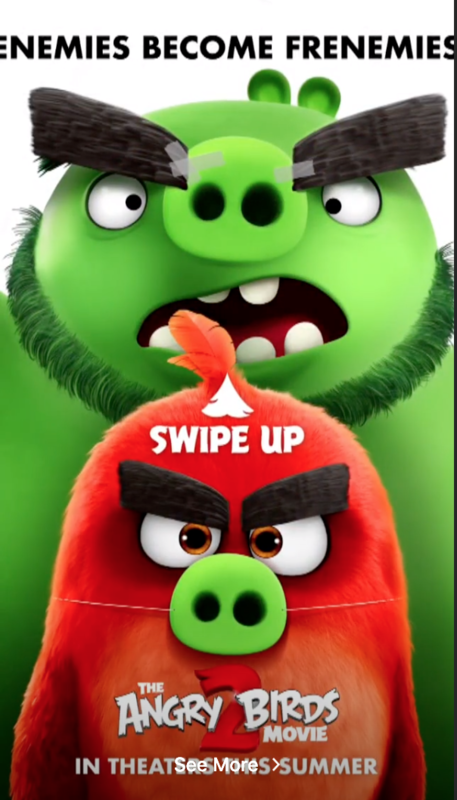 🐶 #AngryBirdsMovie2 in theaters this summer. I wrote content, listicles, and quizzes for Fanbread/RockYou celebrity clients including Ashley Benson, Vanessa Hudgens, Nene Leakes, JWOWW, Wayne Goss, and DL Hughley. As a part of my articles/listicles, I wrote the content headlines and accompanying social copy for the Facebook/Twitter posts promoting the work. I also sourced the thumbnails included in the posts. Each post was written in the voice of the celebrity client to entice their readers to click, comment, and share. I also created quiz questions and graphics for listicles and quiz content. When Snapchat first launched, the social team at Dancing with the Stars wanted to be one of the first shows to get on the platform. I took behind-the-scenes photos for the official Snapchat account and wrote the social captions on the pictures. The hashtags were the couple’s “team name” and reminded fans they could vote for them.